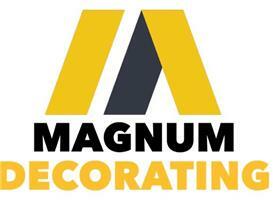 Magnum Decorating - Painter/Decorator based in Southampton, Hampshire. I hope you find what you've been looking for in terms of a reliable, professional tradesman. Look no further Magnum Decorating will tick all of your boxes and more. Magnum is the name of the business run by me, John Wale. I have been a decorator for 30+ years. I started in the 1980's when the building boom was at its height, working on new build houses. I later ventured out into the residential side, amassing many satisfied customers along the way. In the early 00's I became a teacher of Painting and Decorating, teaching in Oxford, Harlow and Chippenham. I am an A1 Assessor and have assessed many apprentices along the way. However, I decided to hang up my hush puppies for my work boots again, which is the best decision I have ever made. Sometimes I work with some of my previous apprentices when needed. This ensures quality is maintained, as all labour that I employ is qualified. Please give me a call. I will be happy to help.